Howdy all. Something different for a Sunday for you. I wanted to look today at the two main frequent flyer programs that exist in Australia. If you’re a frequent flyer in Australia, if you love hunting down points, well there here are your two main options. Of course, there are many other choices you could try – Emirates’ Skywards for example, they have a lot of flights in and out of Australia so you might consider them. Qantas points can be used to book Emirates flights, and vice versa, so in some ways it seems silly to have both. On the other hand, you’ll go further on Skywards points with Emirates and further on Qantas with QFF. Air New Zealand have their ‘Airpoints’, and considering their reach and proximity, they are another viable alternative. But the big two for Australians are surely Qantas and Velocity. Earning points on both is a relatively similar experience. I should state that I am a member of BOTH. And thusly I have been trying to get the most out of both of the memberships. I am yet to actually redeem a Velocity point, but that should change next year. I’ve flown now many times on Qantas points. Earning – well there is one way to give yourself a massive points balance, and that’s to take out a new credit card. There are several rewards based credit cards on the market that will do you points for either program. Generally you can get a one-off points boost of up to 100,000 points on either program by taking out the credit card and spending a certain amount of money in the first three months. So, there are caveats and you want to be good with credit cards. Then there are yearly fees, interested accrued if you don’t pay it off by the due date and, well, you need to be good at managing your finances. Also, generally banks/institutions won’t give you the bonus points if you already have a credit card with them. Then of course, as a rewards cards you can earn points for using the card. Amex generally have the best per dollar rate, but are accepted at fewer locations and also have the higher fees often. I ear between 0.5 points to 1 point per dollar depending on which of my credit cards I use. Your earn rate will probably be the same if you go for a Velocity or Qantas based card. For more details, check out pointhacks.com.au. The other main way I earn points is through Flybuys and Woolworths Rewards cards. Both often run specials, if you spend x amount of dollars in a week or a shop for four weeks in a row they will give you 10,000 bonus points. Flybuys converts to Velocity Points, you do that manually over the internet, Woolworths Rewards to Qantas, and they convert periodically and you need to choose this options otherwise points convert to savings. In both instances, 2000 points with Flybuys or Woolwoths Rewards will convert into 870 points in their respective Frequent Flyer partnerships. Qantas have their own online shop and are partnered with several companies who will reward you with Qantas points, Velocity do the same however from my experience there are more options for Qantas. I’ve been earning Velocity points through Virgin Mobile (soon to cease operations in Australia) and also you can collect Velocity points at BP service stations. That’s a rough summary of how to EARN your points. Now, spending them. Well you go to the respective website and see what you need. The Qantas website for frequent flyer bookings is easier than it used to be. It used to be hard to find the right page to make a frequent flyer booking. I found Virgin’s pretty simple too. But this is where the real difference is to be found. For example – I’ve just done a search on Qantas and Virgin. March 19th next year as a random date, chose Singapore as a random destination. 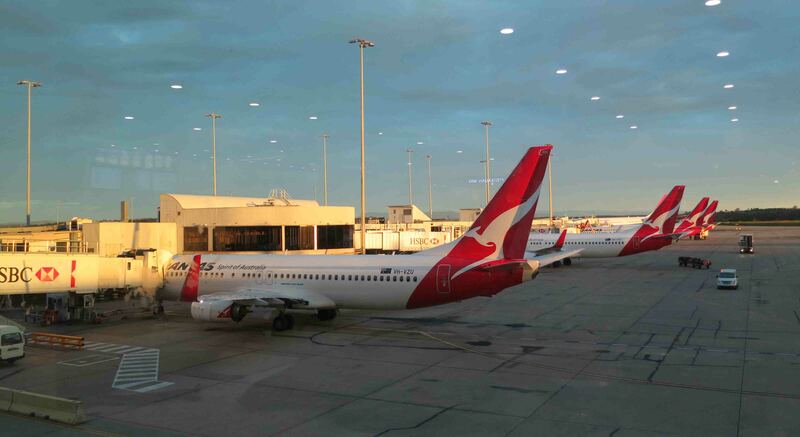 Through Qantas, direct flights were 28,000 points with either Qantas or Emirates. Tax of around $160AUD. For Virgin it worked out starting at 35,000 points, plus $85 in tax. So save a bit on tax, use a bit more of your points. So to March 8th I looked at Qantas to Tokyo. 35,000 points for a direct Qantas flight, 28,800 gets you on Jetstar with luggage. Tax for that was $175AUD. This time on the same date via Hong Kong 47,800 points and $128 in tax, or 69,000 points outright. That’s with a stop in Hong Kong. That was the lowest option. The second option was 80,800 points plus $155 in tax. A third check – to Europe, also March 8th. London, as it’s pretty much the most popular request. Take Qantas all the way and you’re looking at 60,000 points plus $313 in tax (from Melbourne). More points if you choose other airlines, or different routes. With Velocity it starts at 75,000 points plus $243 in tax, or 115,200 with no tax. That’s flying with Etihad. Next option is 82,800 similar tax with an extra stop. And extra stops means you’re going further, therefore more miles required. Virgin also have an option called ‘Any Seat’ Economy. This is available for flights where rewards seats are booked out or don’t exist. For London, they start at 148,000 plus tax, and go up to 359,900 without. It seems a ridiculous waste of points to try that option. All in all, I expected the disparity to be bigger actually after recent searches. The difference in points needed for the best points fare, although still clearly favouring Qantas, was not that large a gap. It certainly increases quickly for the next best option though. As far as I can see, you pay less tax on Virgin/Velocity. All in all I feel though that Qantas gives you significantly more bang for your points. What do you think? How have your experiences been with frequent flyer programs? Do comment below – and May the Journey Never End!